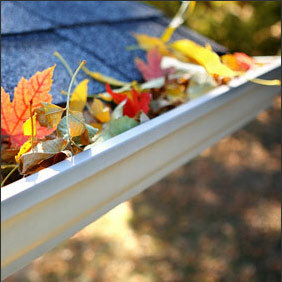 Your home’s gutter system is designed to help with the longevity and maintenance of your home. But if you have clogged gutters, it’s only a matter of time before they start to work against your home and do long-term damage. Gutters are designed to take water away from the structure of your home. They work in tandem with the slope of your roof to quickly move water off your roof and away from your walls and foundation. Clogged gutters, though? They can actually attract and hold water to form ponds on your roof and ice dams in the winter. Do you know what else clogged gutters can do? They can make a home for rodents, bees, wasps, bugs, and mold. They can help water to get into your attic and wall insulation, soak your drywall, and form a nice mold colony behind your walls. All of these things can cost hundreds or thousands of dollars to fix. If you have maple trees on your property – especially if there is one or more near your house and above your roof line – they send those little helicopters fluttering down in piles each spring. You might not think about it, but a lot of those end up in your gutters. Leaves, pine cones, acorns, twigs, and debris from other trees can be a huge problem in the fall. How Often Do Gutters Need Cleaning? This does depend on where you live, whether you have deciduous trees in your yard, and how many. A standard recommendation is to have your gutters cleaned in spring and fall. However, if you have a lot of big trees, you might need to clean them every 4-6 weeks. Many people don’t think about downspouts, either. Your downspouts can get clogged at the top or somewhere along the length and it will drastically reduce the efficiency of your gutter system if they do. Gutters backup during rain and cause water to pool if downspouts aren’t clear. Should You Get Gutter Covers? Gutter covers, or screens, can be a good idea – especially if you have high-yield trees in your yard. They won’t screen out everything though. 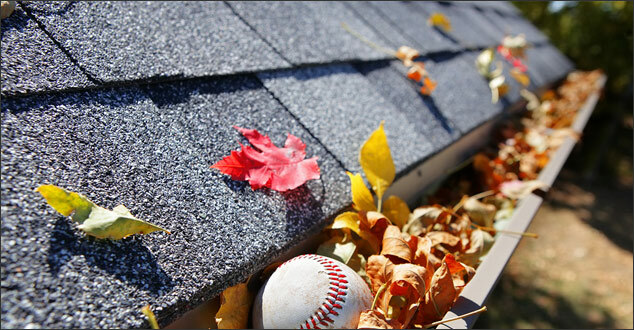 Maybe 10-15% of what falls will still end up in your gutters and will need to be cleaned out. You may have to hire a professional to take off the screens to clean the remaining debris once a year. If you have fewer trees, screens may keep you from heavy-duty cleaning for a few years at a time. However, you will still want to make a visual check every year from the ground to make sure they’re working properly. Should You Clean Your Gutters Yourself? That depends on how you are planning to do it. We always tell people never to get on their roofs themselves due to safety concerns including the risk of falling. Many houses are too tricky to allow homeowners to clean their own gutters. Gutter cleaning service can range in price. You may pay $150 or $250 depending on the size of your home and other complicating factors. But you will rest assured that.. a) your gutters are being maintained and.. b) a trained, safety-conscious professional will be cleaning them. In addition, the professional’s company should have insurance to cover both damage to your home or accidents that may happen on site. The important thing to remember about gutter cleaning is that you have to do it, and you have to do it regularly if you want your house and wallet to remain intact. Stay safe and hire a professional. If you live in Southeast Michigan, please call. We here whenever you need us.